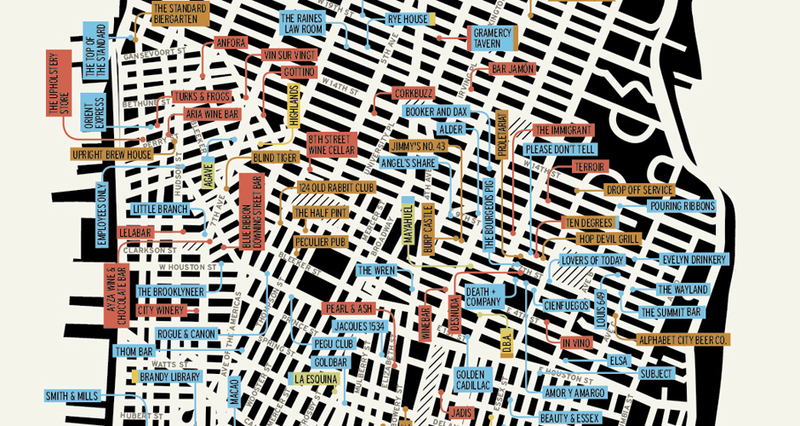 The Distinguished Drinkeries of New York City ensures you'll never have a bad drink in the Big Apple. 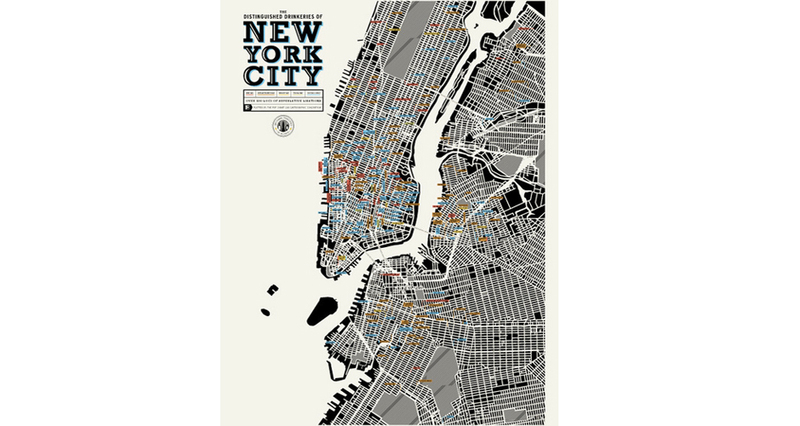 Pop Chart Lab is now taking preorders for its Distinguished Drinkeries of New York City map, which plots more than 200 bars worthy of a visit. 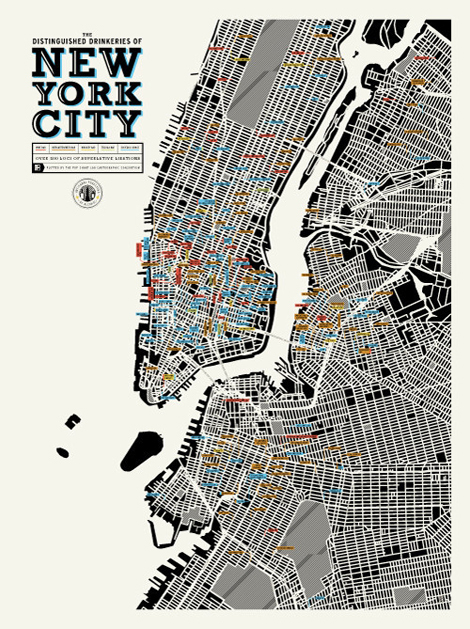 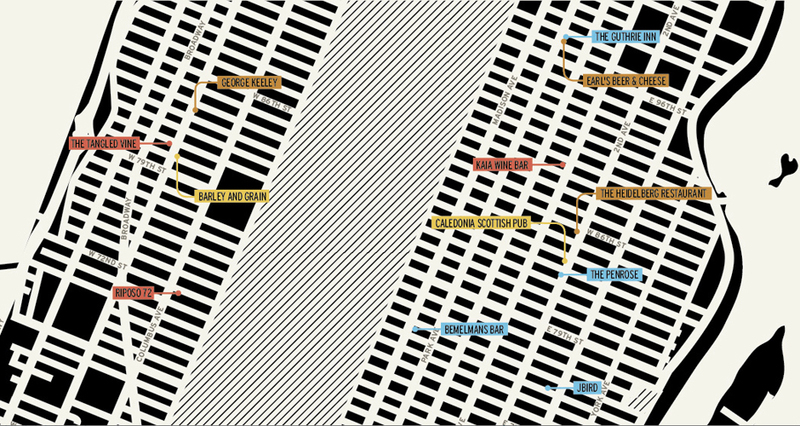 The carefully color-coded watering holes include “artisanal cocktail lounges, wine bars, biergartens, tequila bars, whiskey joints, and other first-rate drinking institutions,” labelled on a maximalist black-and-white map of Manhattan, Brooklyn, and Queens. 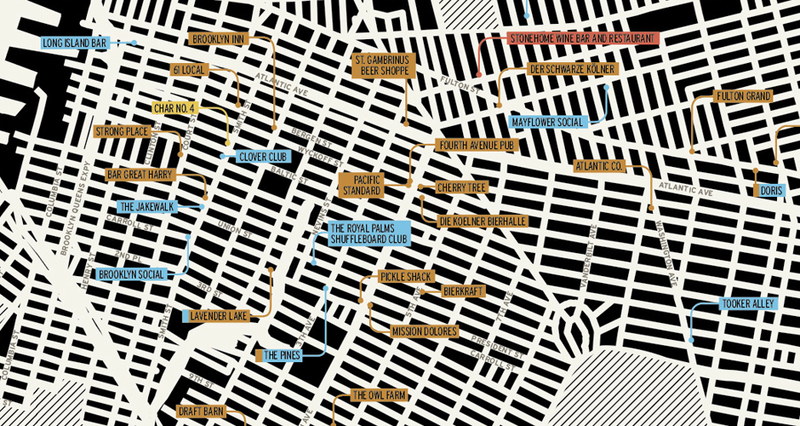 Even newcomers like the Royal Palms Shuffleboard Club, which opened in Gowanus, Brooklyn two months ago, earned a mention on the well-curated list—although the rapid turnover rate of NYC bars means that no print map can stay current for long. 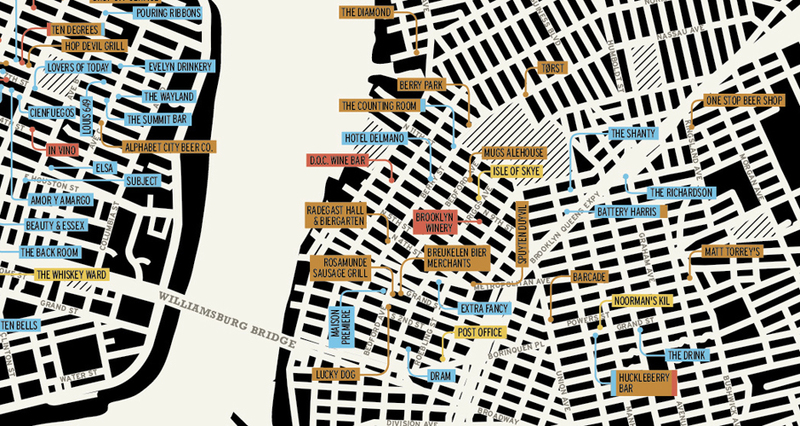 Still, it’s an impressive snapshot of the best bars of the moment, and it makes potential liver damage look downright pretty.